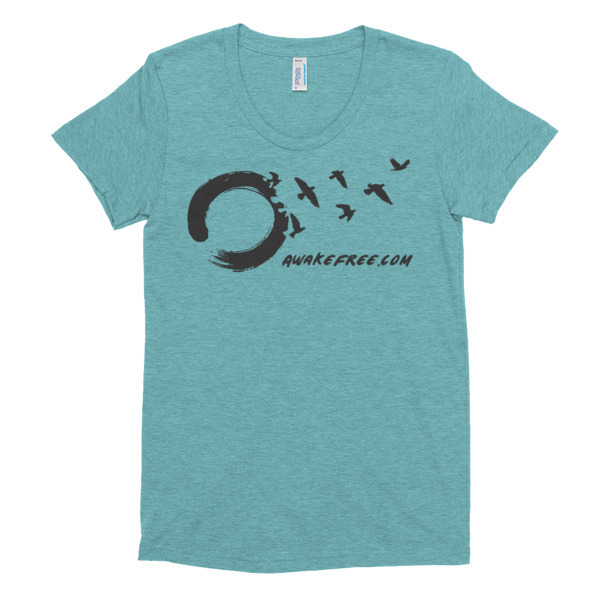 AwakeFree Women's Super Soft Tri-Blend T-Shirt » Awake Free! 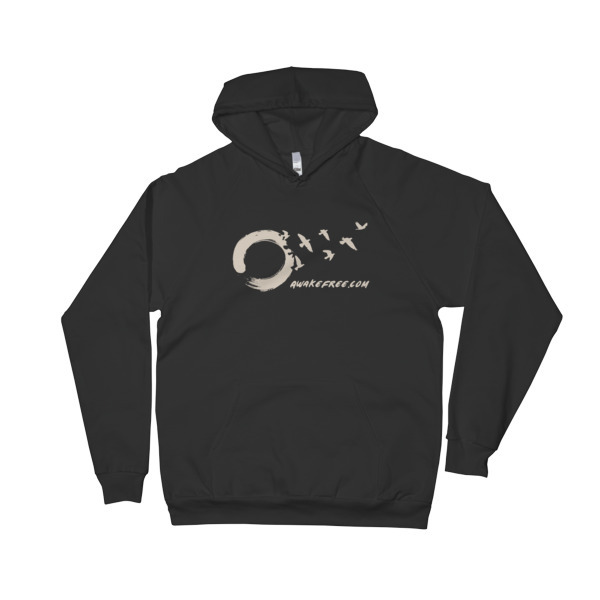 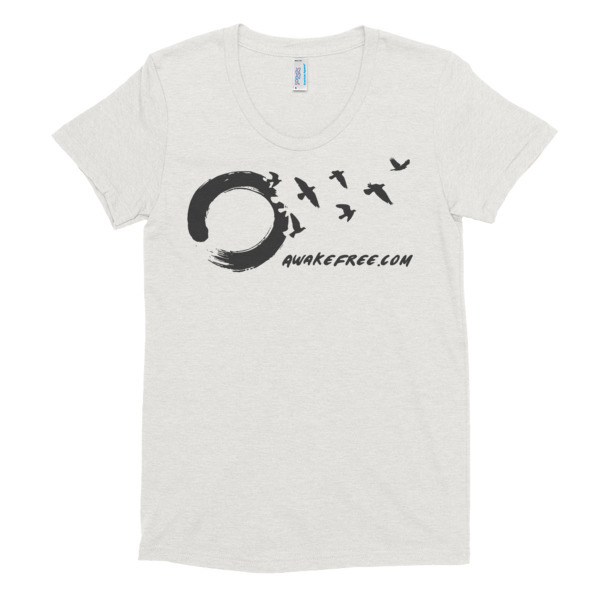 The AwakeFree.com Signature Zen Birds Logo printed on a Women’s Form-Fitting Tri-Blend T-Shirt. You’ll love the fit and feel of this super soft t-shirt, like that favourite, worn-in shirt where you find comfort. 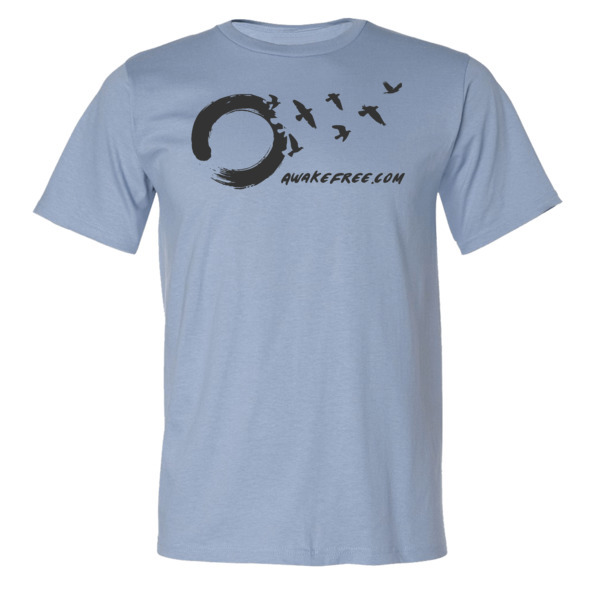 It’s one of the best rated shirts I could find to print on. 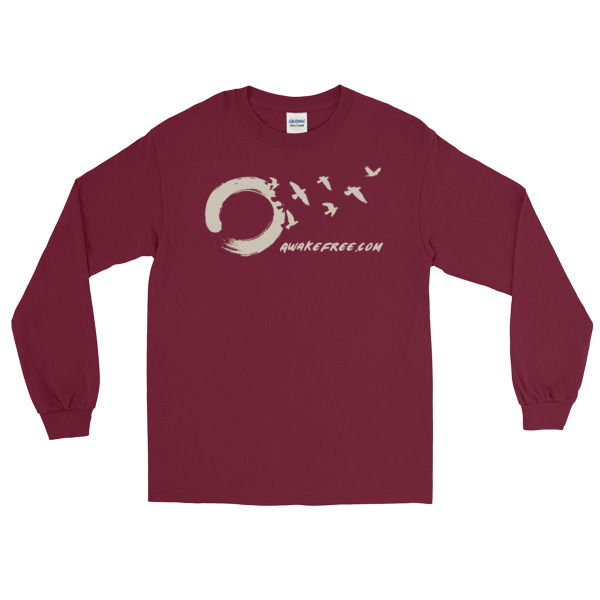 Cotton brings comfort and durability, while polyester retains shape and elasticity, and rayon drapes lightly against the body for a slimming look. 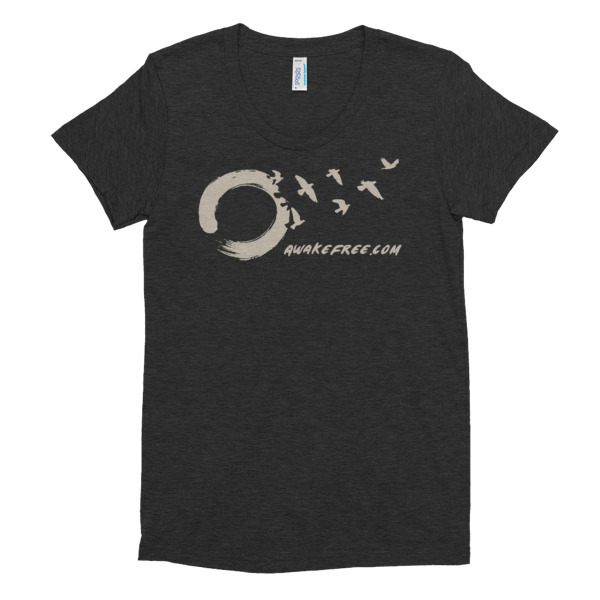 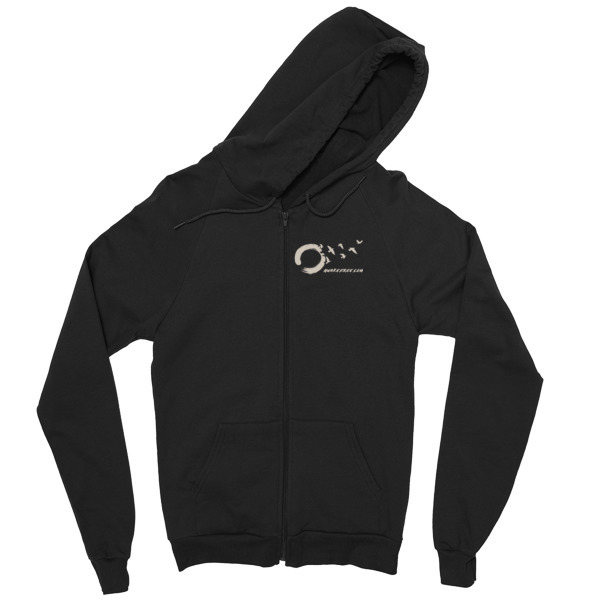 There’s also an organic cotton t-shirt found here.